Pininfarina has announced that first quarter production value totaled 145.5 million euros, or 24.1 pct less year-on-year, while EBITDA were positive by 4.4 million euros a sharp improvement from a year-on-year loss of 2.6 million euros. The Board of Directors of Pininfarina S.p.A., meeting on Monday under the chairmanship of Andrea Pininfarina, approved the Report on the Group’s Operations in the First Quarter of 2008. The indicators of the Group’s operating performance at March 31, 2008 confirm expectations, both in absolute terms and relative to the results for the first three months of 2007, and show that the improvement that began in the second half of 2007 is continuing. - EBITDA showed further significant gains, turning around from a negative balance at March 31, 2007, and reaching a positive balance of 4.4 million euros (for an improvement of 7 million euros compared with the first three months of 2007), in line with the projections of the Industrial Plan. - EBIT reported by the manufacturing operations improved, with the loss cut to about half the amount lost in the first quarter of 2007 (-5.8 million euros, for a year-over-year improvement of 5.6 million euros), even though the number of invoiced cars was 20% lower due mainly to the changeover to the 2008 model year. Programs implemented to increase productivity and reduce manufacturing costs and overhead are beginning to produce positive results. - The steady revenue stream and profitability of the service operations confirmed the wisdom of the reorganization effort launched at the end of 2006, which will continue with additional important changes in 2008 and 2009. 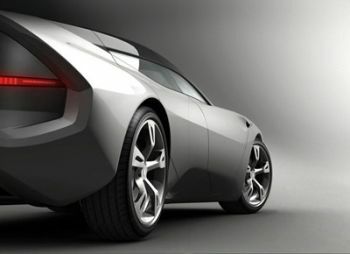 - The positive contribution provided by the Pininfarina Sverige A.B. joint venture continued to increase, despite slower sales of the Volvo C70 model in the United States caused by the declining value of the U.S. dollar versus the euro. * The amount of change in the quarterly balance sheet data is computed against the amounts at December 31, 2007. (EBITDA represent the profit or loss from operations before depreciation, amortization and additions to provisions/EBIT represent the profit or loss from operations). In the first quarter of 2008, production value totalled 145.5 million euros, or 24.1% less than in the same period last year 2007 (191.8 million euros). EBITDA were positive by 4.4 million euros, marking a sharp improvement from a loss of 2.6 million euros in the first three months of 2007. Despite a decrease in sales revenues, reported EBIT showed an improvement of 5.6 million euros, with the loss shrinking to 5.8 million euros (loss of 11.4 million euros at March 31, 2007). The Group’s level of indebtedness, which was virtually unchanged from the end of 2007 as negotiations with credit institutions to reschedule/refinance the existing bank debt continued, is the main reason for the increase in net financial expense, which totalled 5.7 million euros in the first quarter of 2008 (expense of 1.5 million euros at March 31, 2007). The Group’s interest in the net profit of the Pininfarina Sverige joint venture amounted to 1.4 million euros, or 27% more than in the first three months of 2007 (1.1 million euros). The loss before taxes totalled 10.2 million euros (loss of 11.8 million euros at March 31, 2007) and the net loss (after a tax benefit of 0.3 million euros) amounted to 9.7 million euros (loss of 9.9 million euros after a tax benefit of 1.9 million euros in the first quarter of 2007). The net financial position was negative by 235 million euros, compared with net borrowings of 185.5 million euros at December 31, 2007 and of 131.8 million euros at March 31, 2007. The increase of 49.5 million euros in the negative balance reflects primarily the utilization of liquid assets required by changes in working capital that resulted from a delay to February of the resumption of production activities, due to the changeover to the 2008 model year, for the Alfa Romeo Brera and Spider and the Ford Focus coupé-cabriolet orders. The Group had 2,650 employees at March 31, 2008, down from 2,856 employee a year earlier (-7.2%). An additional 853 employees worked for the Pininfarina Sverige A.B. joint venture in Sweden. An analysis of the data by business segment shows that the manufacturing operations generated production value of 111.2 million euros (30.1% less than the 159.1 million euros reported in the first quarter of 2007). The main reason for the decrease in the year-over-year comparison is because the launch of the Alfa Romeo models, which underwent important structural changes, began in February and increased only gradually. The Ford model was also the subject of significant improvements, but first-quarter data for 2007 and 2008 are more readily comparable, as last’s year output was also reduced by the model changeover process. The EBIT reported by the manufacturing operations were negative by 6.9 million euros, but the loss narrowed by 5.6 million euros compared with March 31, 2007 (-12.5 million euros). The service operations, which include design and engineering, increased production value to 34.3 million euros, or 4.9% more than in the first quarter of 2007, when it totalled 32.7 million euros. With regard to profitability, EBIT for the first three months of 2008 were positive by 1.1 million euros, about the same as in the same period last year, confirming the ability of these operations to deliver reliable results. Based in part on the results for the first quarter, projections for all of 2008 continue to call for EBITDA to grow to an amount greater than 5% of production value. The result from operations, while still expected to be negative, should show a significant improvement compared with 2007. At the end of 2008, the net financial position should be roughly in line with the level reported at December 31, 2007, due to the impact of programs implemented in accordance with the Financial Plan. The debt rescheduling/refinancing agreement that is being negotiated with the lender banks and the timing and terms with which the recently approved capital increase will be carried out will also have an impact on the year-end financial position. Discussions for an agreement with the lender banks continued with encouraging results in recent days. Negotiations with Fortis Bank to settle quickly the existing dispute in a manner consistent with the terms of a broader agreement with all of the other lender banks are also continuing. With regard to the share capital increase approved recently by the Shareholders’ Meeting, Pininfarina S.p.A. is currently preparing the necessary paperwork and is defining the terms and procedures for the establishment of a Consortium to guarantee the placement of the capital increase. No additional significant events occurred since the Shareholders’ Meeting of April 29, 2007 and the disclosures provided on that occasion should be consulted for additional information.